Using cameras to monitor welding processes isn’t a new idea. But it’s an idea that’s never been practical—until now. The development of high dynamic range (HDR) cameras designed for weld monitoring, remote monitoring of welding via cameras, is now feasible. With HDR cameras, the challenge of seeing sufficient detail in a weld arc and its surrounding background can be overcome. With traditional cameras, the super-brightness of the arc and the dark background couldn’t be viewed at the same time with suitable clarity. HDR cameras can capture all the detail in the arc and background, providing images with more precision than is possible even with an operator observing the weld with their own eyes. With HDR cameras, operators don’t need to be physically close to a weld to determine what’s happening. This frees operators from dangerous, uncomfortable conditions that expose them to significant health risks. What would the use of HDR cameras look like? How would they be set up? Can they be used for both trailing and leading views? How many cameras would be most beneficial? You can learn how HDR cameras can be implemented in varied ways to meet specific needs. And you can see for yourself numerous screen shots that show the clarity of HDR images. You can download the whitepaper for free right here. The Large Additive Subtractive Integrated Modular Machine (LASIMM) project is now live and ready to build large 3D printed metal structures for construction. The machine is the first of its kind and is predicted to keep Europe's manufacturing industry as a leading competitor in the global market. The project highlights a milling robot – the first for additive manufacturing of aluminum and steel - to integrate seamlessly additive, subtractive, metrology and cold work applications into a single machine. LASIMM will enable the creation of mixed-material structures by using similar and incompatible substances along with software to generate tool paths and machine sequences. The machine will ensure the component's structural integrity by allowing in-process, non-destructive testing and restoration of defects. Xiris partnered with Cranfield University, a defining member of the project, and delivered the XVC-1000 HDR Weld Camera as an inspection solution for LASIMM. We are honoured to contribute to this project and are excited to see the results of the project and the impact LASIMM will have on Europe's additive manufacturing industry. 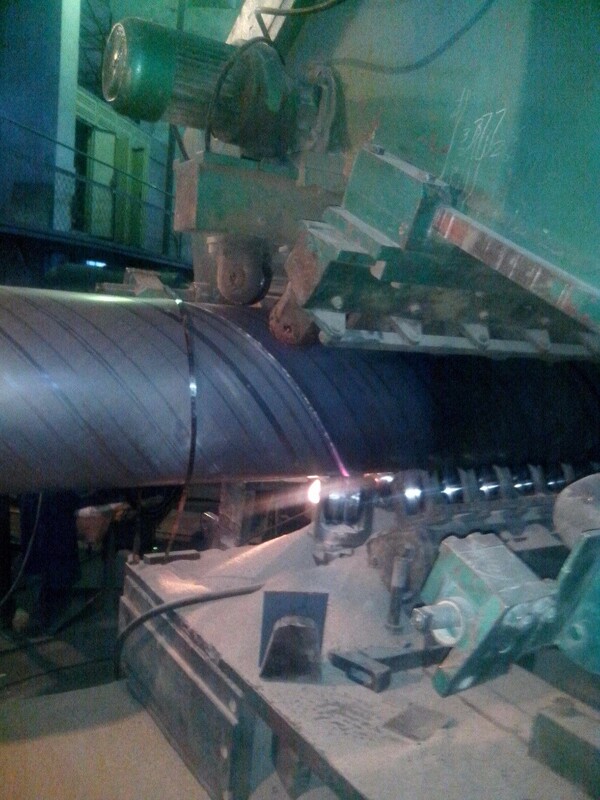 Following sub arc welding on the inside and outside of a helically welded pipe, the pipe must undergo inspection to be prepared for further processing or service in the field. This preparation step includes rigorous inspection and testing procedures, repair of defects, and application of anti-corrosion coatings before the pipe enters service. Traditionally, post-weld inspection is done manually by an operator who walks around the exterior of the pipe or crawls through it as part of an offline process. The operator is responsible for identifying any weld undercut, incorrect weld wetting angles, or insufficient or excessive weld bead material from the process. It is not only time consuming, but it relies on the operator to be consistent to be able to catch all defects in the product. A better solution is to use automatic inspection equipment such as the Xiris WI3000 weld inspection system, which can profile the entire weld bead after the flux has been removed or fallen away to detect problems sooner in the process. Usually used as an inline inspection tool post-weld, the WI3000 can also be used to provide the operator with feedback to make corrections reducing additional defects while marking the location of a defect to expedite the repair process. Information from the laser sensor is transmitted to a single image-processing system, allowing the operator to identify and control the welding parameters. The end result is a better, more objective measurement of the weld bead inspection process in advance of use of the pipe in the field. Xiris Automation offers a full suite of products for your helical sub arc welding (HSAW) process. 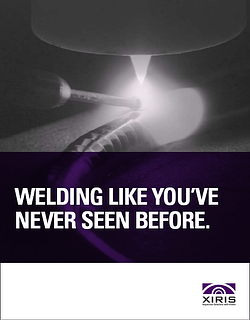 From the control and quality assurance of the initial forming and tacking stage by the XVC-1000, through the remote monitoring of process parameters during full-seam sub arc welding by the XVC-S, and the post-welding and post-scarfing inspection by the WI-3000, Xiris provides operators with the tools they need to prepare the highest-quality products they can. To learn more about how Xiris Automation’s full suite of turnkey solutions can improve the quality and yield of your HSAW manufacturing process, contact one of our technical specialists today. Research and Development is a crucial element of success in Metal Additive Manufacturing. However, R&D has traditionally been expensive and highly time-consuming. A primary cause of this cost and time is that Metal AM machine operators cannot make adjustments to a first-run part in real time. Engineers must wait for the build of the entire part before they can test and analyze it. This process results in excess time—stopping the machine to make adjustments, testing and analyzing after the first run, and future runs after post-run adjustments are made. Each additional run also drives up materials’ costs and involves costly, time-consuming stoppages for reprogramming new runs. Fortunately, this cost/time problem can be minimized. You no longer need to wait to test and analyze first-run Metal AM parts until they are completed. Recent developments in software and camera technology are allowing operators to use High Dynamic Range (HDR) weld cameras to make adjustments to a part in real time during the initial run. Process engineers can also monitor the sequence and program in real-time adjustments. By integrating HDR weld cameras into the Metal AM machine, operators in any setup can get clear, high-contrast views of the torch and wire (or powder flow) and their alignment to the process and other material settings. Operators can monitor material inputs and achieve ideal conditions on a consistent basis throughout the process, without stopping the machine. Xiris’s HDR weld cameras feature the latest software and camera technology. 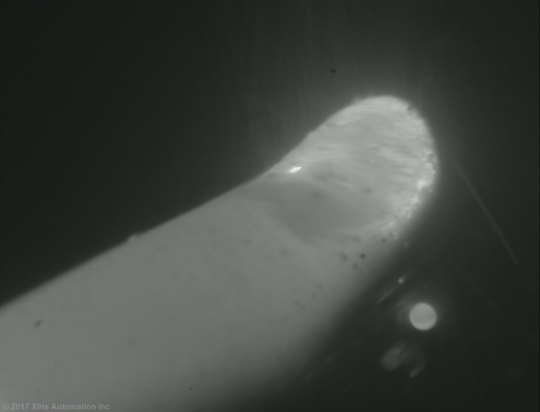 Using our cameras, operators can monitor the weld torch, its immediate background, and material deposits from previous machine passes—with a level of visibility that has never been possible before. Importantly, this visibility is even greater than when operators are situated close enough to the Metal AM process to see it with their own eyes. Our HDR weld cameras not only allow operators to see more detail, they eliminate the danger and labor time involved with manual monitoring. Often, due to thermal stresses, a deposited layer of material can start to warp. To compensate, operators can use the clear images from the HDR weld cameras to make precise adjustments to align the torch, wire and/or powder to the warped material, optimizing material alignment and overlap during challenging Metal AM layer deposition. 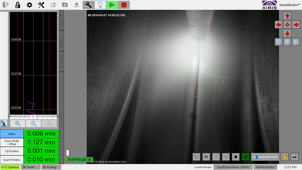 After an initial run, process engineers can use the recorded video from the HDR weld camera, in conjunction with data from other quality systems, to review the material deposition and resolve issues more quickly than waiting for traditional testing and analysis to take place when the part has been completed. 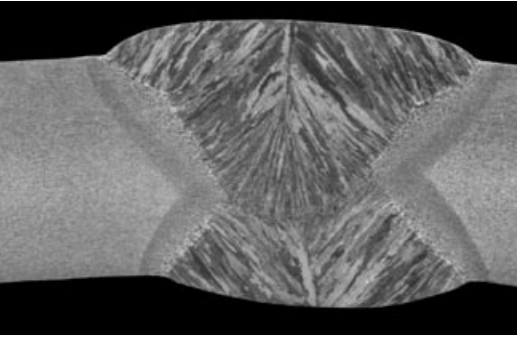 For example, if a layer is deposited with significant porosity, it may only be detected if the operator is using HDR cameras to monitor the melt process. Without such tools, porosity in the material could only be detected by a form of destructive testing after the part has been completed. Metal AM machine operators can use HDR weld cameras to monitor the initial build of a Metal AM part, providing them with immediate feedback, rather than waiting for the build of an entire part before inspecting, testing, and analyzing it. The result is decreased build times, less engineering/operator cost, and lower materials’ costs. These benefits make the latest in HDR weld cameras a valuable, cost-effective tool in any R&D process for Metal AM. One-step Helical (or Spiral) Submerged Arc Welding (HSAW) processes do not use GMAW/GTAW systems to tack the material into pipe form like two- step processes, but rather perform full inner welds using a sub arc welder during the initial forming stage. This one-step process is advantageous in that it requires less equipment, and therefore less shop floor space, but it results in significantly lower processing speeds compared to the two-step process. Both one- and two-step HSAW processes use dual-system submerged arc welding with flux recovery systems to perform the complete welds, with a preliminary weld on the inner diameter and a secondary weld on the outer diameter. Using two HSAW systems in parallel allows the weld penetration depths to meet, providing a strong weld in wall thicknesses as large as 1”. The quality of these welds is paramount to the success of the pipe. With applications in the transportation of oil, natural gas, water, and other flammable and nonflammable liquids, a small defect in the weld seam affects not only the density of the weld—causing higher risk of leaks—but also becomes a major point of corrosion-induced wear. Porosity, thermal cracking, undercut, and insufficient penetration are all critical defects caused by relatively common circumstances during the submerged arc welding process. Various standards organizations such as the American Society of Testing and Materials or the American Water Works Association prescribe hydrostatic testing to 2800 psi / 193 bar, as well as ultrasonic or radiography testing, to ensure the quality of the weld seam for its service life. But these tests determine the quality of the seam in a retroactive way, after the defects have already propagated throughout the tube. The Xiris Weld Camera for Sub Arc applications, the XVC-S, is an affordable turnkey solution for monitoring the sub arc welding process. The XVC-S features an out-of-the box solution with integrated lighting, graphical-overlay-producing crosshairs, and a rugged housing suitable for the welding environment. With on-screen monitoring tools, operators can easily identify and correct any deviations from standard operating procedures, including insufficient flux supply, misalignment of the torch or seam, and damage to the weld tip. The remote viewing monitor can display multiple processes, allowing a single operator to monitor the quality of the inner and outer sub arc welding processes simultaneously. The small size of the XVC-S camera allows it to be easily integrated into an existing sub arc welding mount and the high-voltage and high-temperature resistant design, combined with the built-in solid-state lighting, allows high-quality images to be produced even in the harshest environments. By ensuring the quality of the weld during the sub arc welding process itself, defects can be caught sooner and corrected before the quality of the entire pipe length is compromised—saving time, money, and resources to provide an overall more-efficient process. RIBEIRO, Anderson Clayton Nascimento; HENEIN, Hani; IVEY, Douglas G. and BRANDI, Sergio Duarte. Evaluation of AH36 microalloyed steel welded joint by submerged arc welding process with one and two wires. Mat. Res. [online]. 2016, vol.19, n.1 [cited 2017-06-22], pp.143-152.